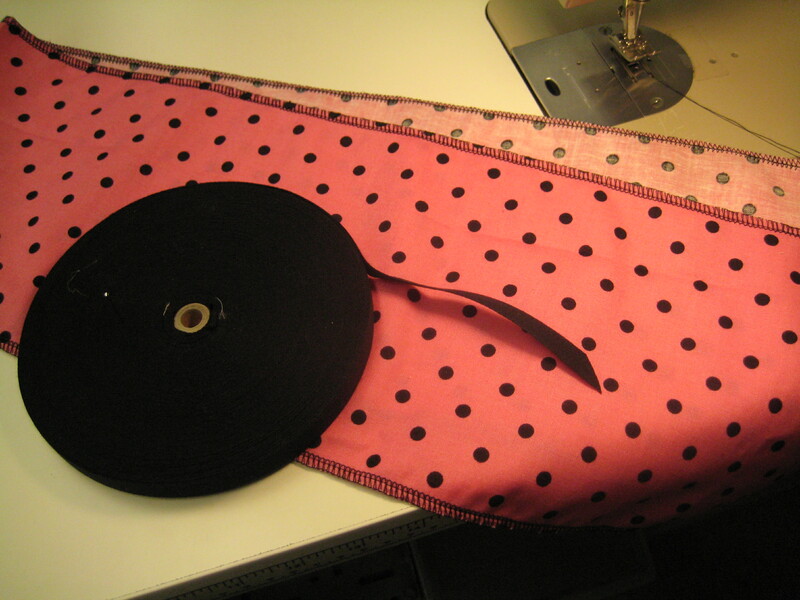 Supplies: a 7"x45" stip of fabric, 1/2" twill tape, and a sewing machine. 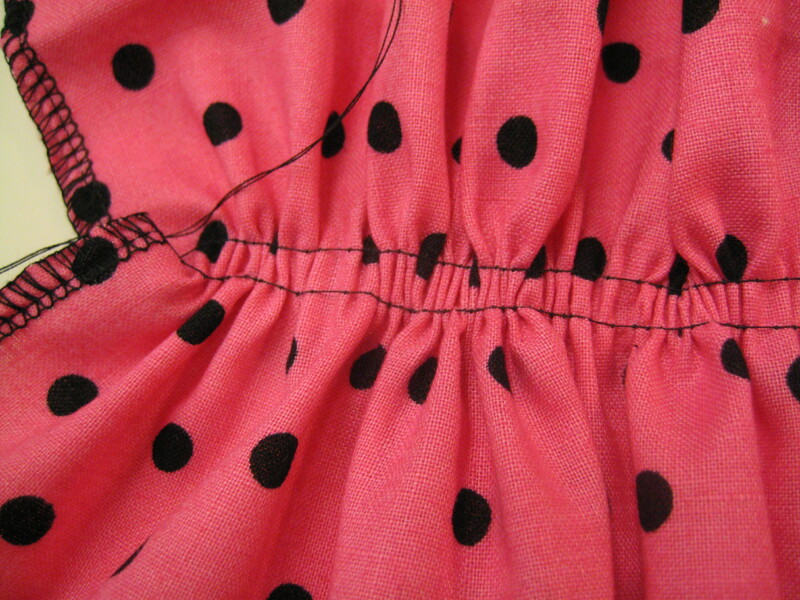 Run two lines of gathering stitches down the length of the strip. The lines should be at about 3 3/8" and 3 5/8". 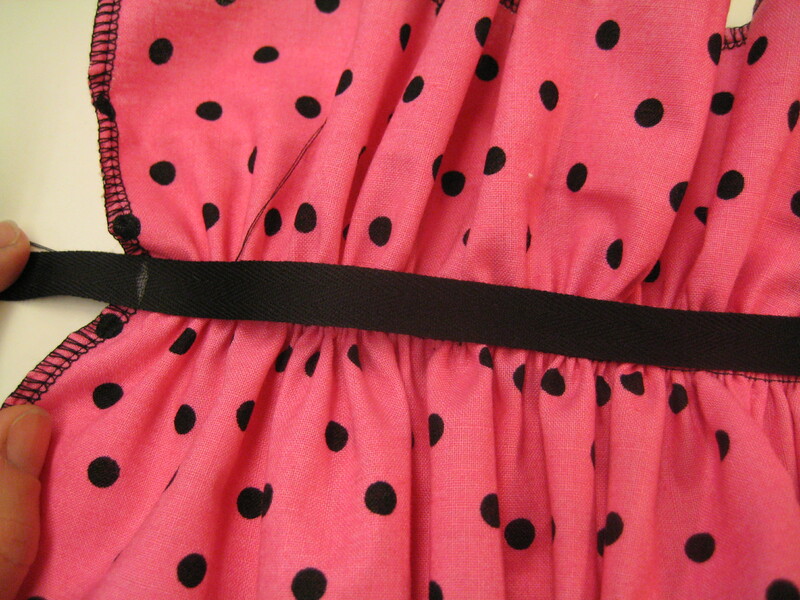 We’re using two lines of stitch because it’s going to make the ruffle much easier to control. 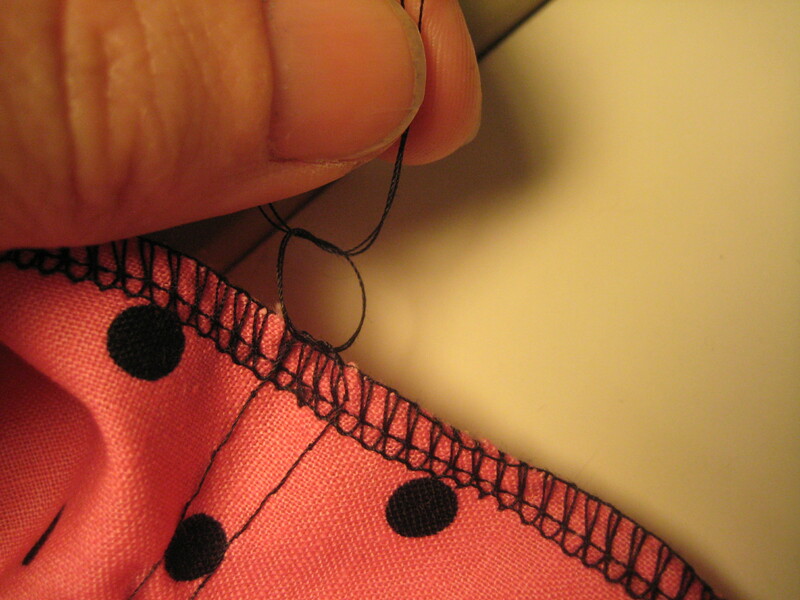 In the end, it’s faster to put the second line in than to work with the fabric when it only has one line of gathering stitches. Crazy, right? 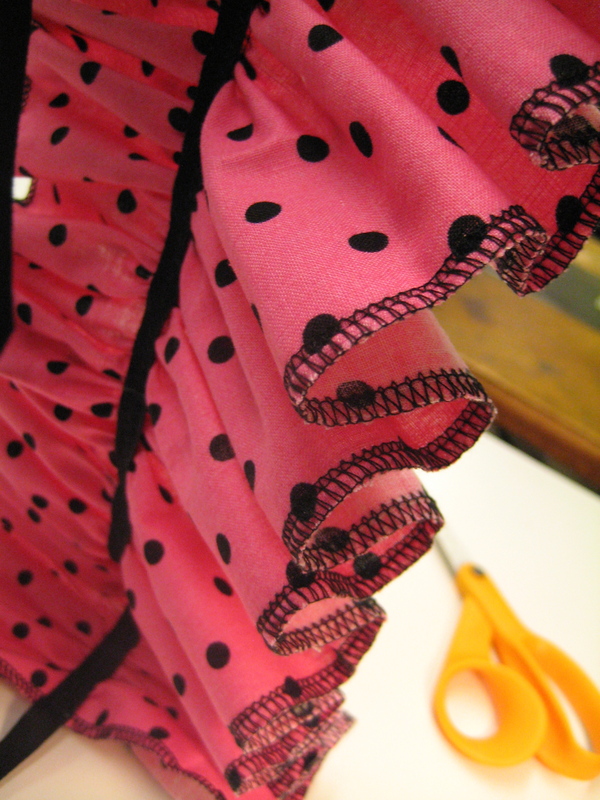 Now pull the ends of the ruffle out until it reaches the desired length. Since your ruler is centered, one edge goes to the 0-edge of the ruler, and the other goes to the actual measurement. Tie the gathering threads off with a square knot. Spread the gathers out evenly along the length of the ruff. Ok, the last couple steps probably look a little bass-ackwards. 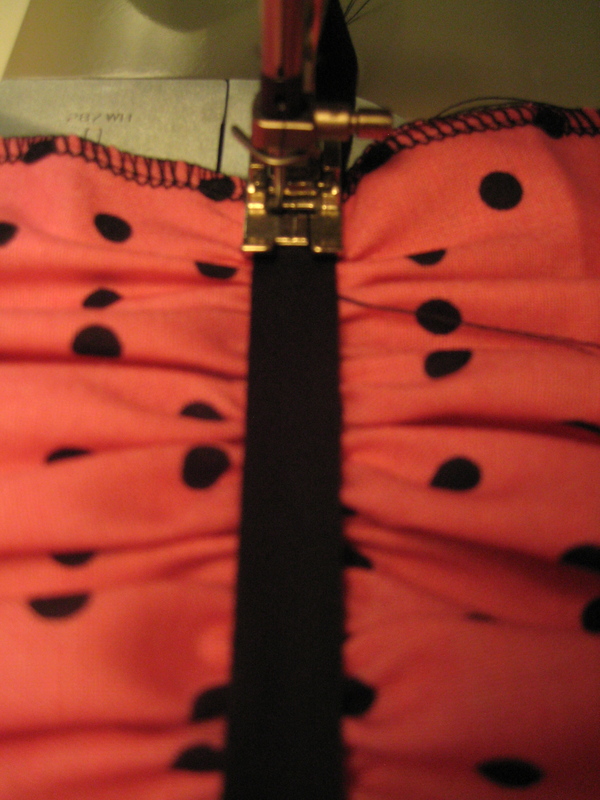 Here’s the thing: normally gathering things down is really fussy, and you either have to check the length a million times or you’re gathering to something, which is actually worse because you’re working gathers around pins and junk. We used the ruler once, and we haven’t had to pin a gosh-darned thing. It’s just faster that way. 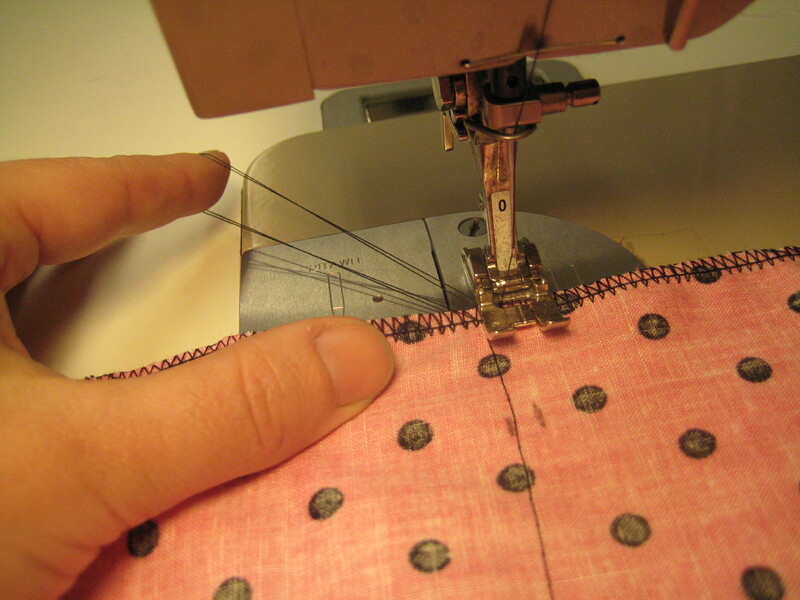 Now chuck the whole thing through the sewing machine with the widest zig-zag stitch you have. 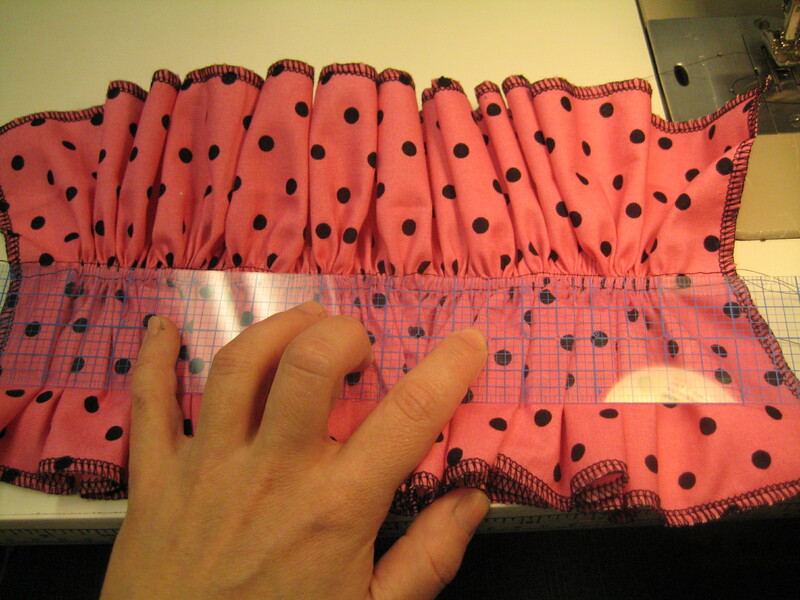 Make sure the tape stays on top of the gathering stitches, and check to make sure the ruff and tape meet at their midpoint and end mark. 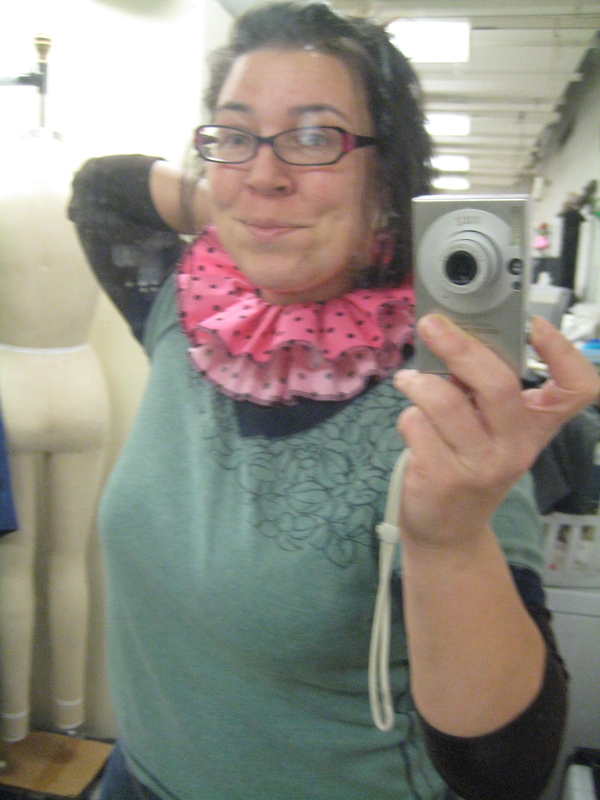 This isn't really a ruff yet, because it doesn't want to flop over. Bother. 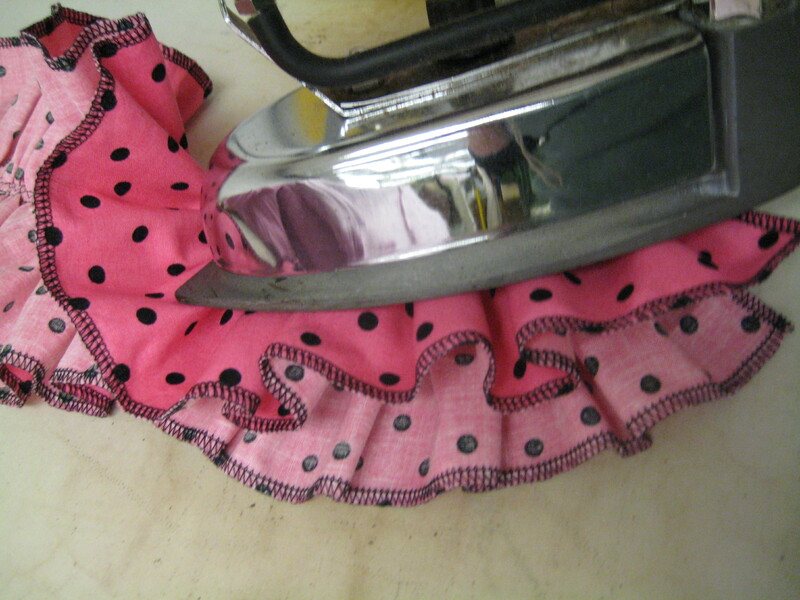 CAREFULLY use a steam iron to relax the ruff WITHOUT CRUSHING IT. Do not set the iron on the ruff. I mean, not unless you’re actually trying to make ye olde pancake-ruff, which never really caught on as a fashion trend…. You can control the amount of loft in the ruff with the amount of steam you use. More steam, less loft. Tee hee hee! I'm such a dork. But that's basically what they end up looking like. Festive, ain't they? ;) Ten of them took me three hours. 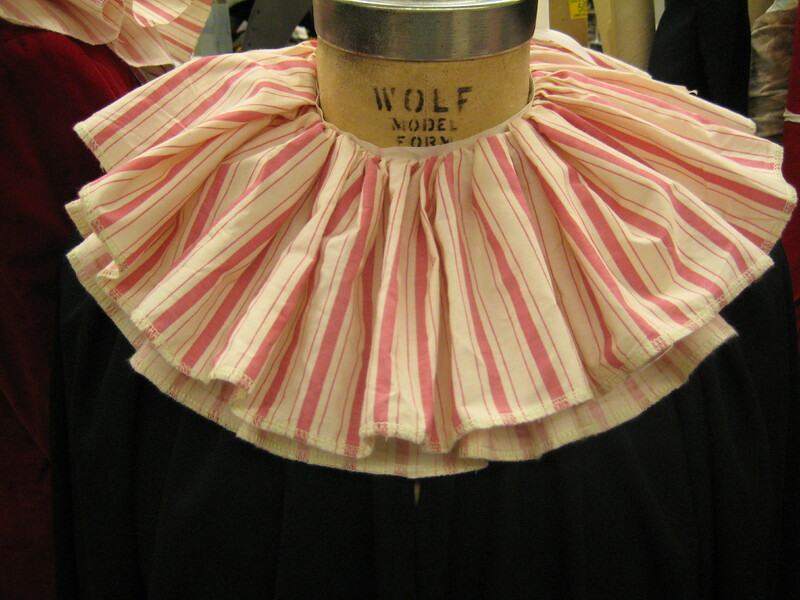 The wider you make the ruff, the longer your piece of fabric needs to be. 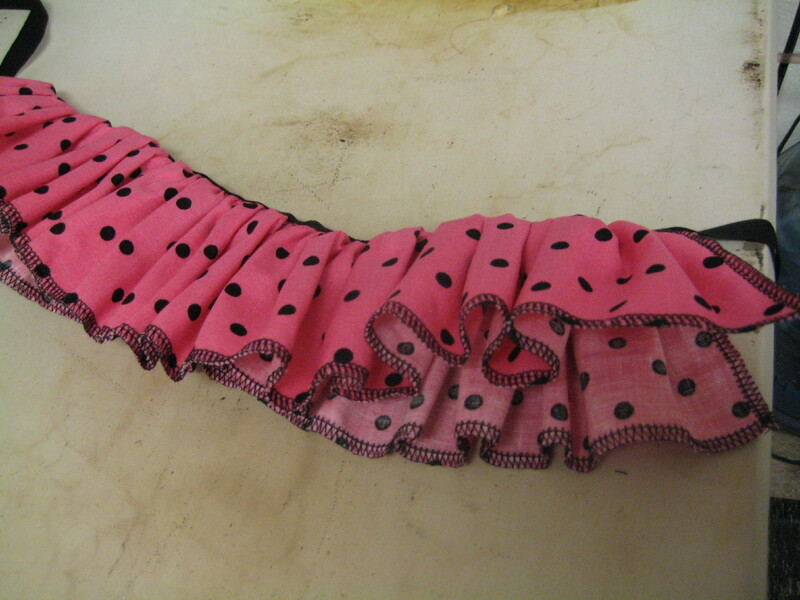 This one was make from a 14" wide strip, approximately 90" long. And there you have it…. Sometimes, you just need the look. 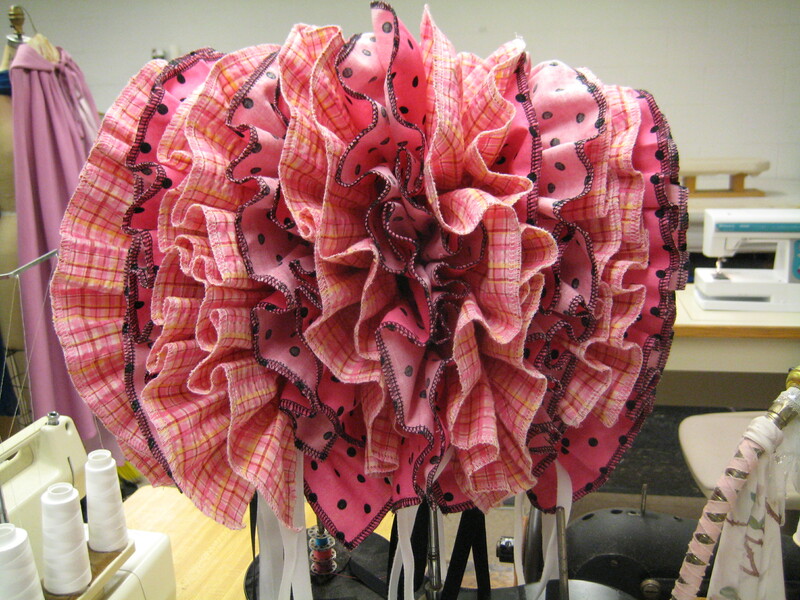 Missa, I think you should help me encourage Laura to make matching ruffs for her dogs. Because HOW CUTE WOULD THAT BE???? I sent a pdf of the post to the email address you listed with your comment. I’m not sure why some people are having trouble with images right now. I’m looking into it. Sorry! Thanks big bunches, this is just what I need for a school play coming up SOON! Hi, Rebecca – De nada! Glad it helped!